Jane Langton, creator of sleuth Homer Kelly, turns 85 today. Langton, who published her first Kelly mystery in 1964 and is a two-time Edgar nominee, has two upcoming novels: The Dragon Tree (for children) and the illustrated The Thurber Murder (for adults), the latter "a comic novel in the style of James Thurber." 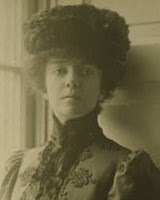 As I've published two short stories with Alice Roosevelt Longworth as detective, I looked forward to reading Alice: From White House Princess to Washington Power Broker by Stacy A. Cordery, the first biography of Theodore Roosevelt's eldest daughter that draws from Alice's embargoed diary and other personal papers. Unfortunately, I was disappointed. I learned little that was new, plus the writing style is somewhat clunky and displays errors (despite the genealogical chart in the book, the author refers to journalist Joseph Alsop as Alice's nephew, whereas he was her cousin as the grandson of Alice's aunt Corinne Roosevelt Robinson). Other readers may be interested in the details about Alice's troubled marriage to philandering Ohio Congressman and Speaker of the House Nicholas Longworth and her affair with Idaho Senator William Borah that produced a child, Paulina. A media sensation when she was First Daughter (partly due to the fact that her stepmother shunned publicity), Alice is frequently typecast as purveyor of the bon mot, social gadfly, and persecutor of her cousins Eleanor and Franklin. What is often missed is her staggering intellect (her light reading was Greek philosophy) and her fierce family loyalty (although she imitated Eleanor's high voice, she also talked about Eleanor's beauty as a young woman and popularity with her relatives, disputing her cousin's portrayal of herself as an ugly duckling). Also, Eleanor and Franklin publicly opposed the candidacy of Alice's half-brother Ted for New York governor, which took Alice a long time to forgive. A better alternative may be Mrs. L by Michael Teague, which is the result of interviews with Alice prior to her death. It's all in her own distinctive voice and lavishly illustrated. Recently I visited the Edward Hopper exhibition at the National Gallery of Art in Washington (which goes on to the Art Institute of Chicago in February). Hopper's most well-known work is probably Nighthawks (1942), but some of his works have a certain noir feeling, as can be seen in Night Shadows (1921), which appears on the cover at left. More on the exhibition, including images and video clips, can be seen here. My personal writing hero, Rod Serling, was born on Christmas Day in 1924 in Syracuse, New York. Creator of The Twilight Zone and winner of six Emmys, he was the gifted screenwriter on Patterns, Requiem for a Heavyweight, Seven Days in May, and Planet of the Apes. He died during a coronary bypass operation in 1975. Stephen King, sadly, is dismissive of The Twilight Zone in Danse Macabre, but I admire TZ's tight structure (I think the half-hour programs are better than the one-hour ones), writing (in addition to Serling, Richard Matheson, George Clayton Johnson, Charles Beaumont, Earl Hamner), acting, and twist endings. Here's how one teacher uses TZ in his classes. Serling had a distinguished teaching career at Ithaca College in New York, which honors him with a biennial conference. The Rod Serling Foundation is lobbying to put Serling on a U.S. postage stamp. Be prepared to seek out the middle ground ... that wondrous and very difficult-to-find Valhalla where man can look to both sides and see the errant truths that exist on both sides. If you must swing left or you must swing right—respect the other side. Honor the motives that come from the other side. Argue, debate, rebut—but don't close those wondrous minds of yours to opposition. The Warrior Librarian has translated various helpful phrases into Latin, such as "Re vera, cara mea, mea nil refert" (Frankly, my dear, I don't give a damn) and "Stultus est licut stultus facit" (Stupid is as stupid does). And for the Latin speaker on your holiday list: Winnie the Pooh is now available in Latin (Winnie Ille Pu). Writer and journalist Rebecca West, aka Cecily Fairfield, was born today in Ireland in 1892. Some of her major works include the World War I novel The Return of the Soldier (1918), the Yugoslavian history Black Lamb and Grey Falcon (1941), the examination of World War II traitors The Meaning of Treason (1949), and the novel The Fountain Overflows (1956). She had one son, Anthony West, by H. G. Wells. She died in 1983. Time magazine praised her "incandescence of mind" in 1947. 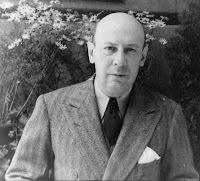 For more on West, see Janet Montefiore's Men and Women Writers of the Thirties: The Dangerous Flood of History, which also includes W. H. Auden, Montefiore's father-in-law Claud Cockburn, Storm Jameson, George Orwell, and Jean Rhys. I am mentioned in an endnote for providing materials relating to the one-time friendship between Jameson and Vera Brittain (Brittain introduced West to her future husband, Henry Maxwell Andrews. Andrews was a school friend of George Catlin, Brittain's husband). Kansas City's Literary Parking Garage. ALA blogger Keir Graff doesn't care for it, but I think the parking garage at the Kansas City Public Library is pretty nifty. A recent batch of holiday mail included a note from a friend: talented author and medieval historian Sharan Newman, whose latest book (from Berkley) is The Real History Behind the Templars. Sharan, who published the earlier The Real History Behind The DaVinci Code, was nominated for an Agatha for her first mystery novel, Death Comes as Epiphany, which features legendary lovers Heloise and Abelard. Dean James visits; happy birthday, Marian Babson. 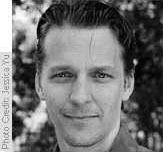 There has been a small hiatus in the blog as a friend was visiting: coauthor (The Robert B. Parker Companion with me), bookseller, professor, librarian, and award-winning writer Dean James. Starting in February, Dean will be teaching a course at Rice University on the American mystery; go here for further details. American-born but resident in Britain, author Marian Babson turns 78 today. She has published more than 40 mysteries; her latest book is Only the Cat Knows. 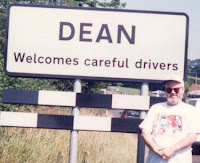 About the photo: Author Dean James discovers his British namesake. Playwright Marc Connelly, a member of the Algonquin Round Table, was born today in Pennsylvania in 1890. His life in the theater began with a collaboration with George S. Kaufman, Dulcy (1921), which was a hit for Lynn Fontanne. He continued his collaboration with Kaufman with To the Ladies! (1922), a hit for Helen Hayes; Merton of the Movies (1922); and Beggar on Horseback (1924). He won the Pulitzer Prize for The Green Pastures (1930), which portrayed God as a black man, and the O Henry Award for his Collier's short story "Coroner's Inquest" (1930; rpt. in To the Queen's Taste, 1946, and Ellery Queen's Mini-mysteries, 1969). He died in 1980. Helene Hanff discusses meeting Connelly in The Duchess of Bloomsbury Street, as he was a fan of her earlier book, 84, Charing Cross Road. Happy birthday, Rumer Godden and Philip R. Craig. British author Rumer Godden, perhaps best known for the disturbing Black Narcissus that was made into the 1947 Powell and Pressburger film starring Deborah Kerr, marks her centenary today. She died in 1998. And Philip R. Craig, who created former cop and fishing aficionado J. W. Jackson, was born today in Santa Monica, California, in 1933. Craig died in May of this year. Third Strike, his last novel with William G. Tapply that pairs Jackson with Tapply's lawyer Brady Coyne, has just been published. The University of Virginia has an interesting online exhibit on bestsellers, "Rave Reviews: Bestselling Fiction in America." Authors and works featured include Mickey Spillane's I the Jury, Kathleen Winsor's Forever Amber (dubbed "Trollop with a Wallop" by Bennett Cerf), Frank Yerby's The Foxes of Harrow, Frederick Forsyth's The Odessa File, and nineteenth-century author E.D.E.N. Southworth (fictionalized in Joanne Dobson's The Northbury Papers). I stumbled on a fascinating online resource stemming from a 2006 class taught by John Unsworth, now vice provost at Brandeis University. It's a database of twentieth-century U.S. bestsellers, organized by author, with entries by students from Brandeis, the Catholic University of America, University of Illinois, and University of Virginia. The entries include physical descriptions of the particular work, publication history, analysis of sales (if information is available), and quotes from reviews. The mystery-related works range from S. S. Van Dine's The Bishop Murder Case (1929), Daphne du Maurier's Rebecca (1938), and Michael Crichton's The Andromeda Strain (1969) to Agatha Christie's Sleeping Murder (1976), Tom Clancy's The Hunt for Red October (1984), and Mary Higgins Clark's Loves Music, Loves to Dance (1991). It's interesting to look at the posted bestsellers list by decade (from Publishers Weekly and Bowker's Annual) for a peek into their eras: The two Theodore Roosevelt books in 1920 after his 1919 death; the over-the-top The Sheik by Edith M. Hull (1919; US publication 1921. "'Oh you brute! You brute!' she wailed, until his kisses silenced her"); the reappearing names of Winston Churchill, A. J. Cronin, Mary Roberts Rinehart, Rafael Sabatini, and others over several years. The entries, it must be noted, vary in writing quality, and not all bestsellers are covered. However, as it can be difficult to find accurate information on such works, this resource is very helpful. Happy birthday, Joseph Conrad and Mark Salzman. Secret Agent and Heart of Darkness author Joseph Conrad was born today in the Ukraine (then part of Poland) in 1857. He died in 1924. And Iron & Silk author Mark Salzman turns 48 today. Don't miss his hilarious memoir Lost in Place, in which he talks about running around in a Kung Fu wig and pyjamas as an aspiring martial arts master in suburban Connecticut. A more sober and equally fine contribution is True Notebooks, in which he discusses teaching writing to prisoners. Rex Todhunter Stout, creator of orchid-loving sleuth Nero Wolfe, was born today in Indiana in 1886. His many works range from the anonymous The President Vanishes (1934) to the final Wolfe novel A Family Affair (1975) and the address "Watson Was a Woman." His colorful life included a stint as a yeoman aboard Theodore Roosevelt's yacht Mayflower, where he won more money playing whist than his Navy salary, and chair of the War Writers Board during World War II. Fer-de-Lance, the first Wolfe novel, appeared in 1934, followed by more than 70 books or stories. Named a Grand Master in 1959, he died in 1975. Wolfe has appeared in several radio series (including one where Sidney Greenstreet played Wolfe), two films, and two television productions (1981 and 2000-02). 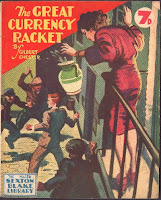 Two of Stout's early pulp works have recently been reissued. Happy birthday, John Dickson Carr. Locked room mystery master John Dickson Carr (aka Carr Dickson, Carter Dickson, and Roger Fairbairn) was born today in Pennsylvania in 1906. He died in 1977. Carr's father was Wooda Nicholas Carr, who served in Congress from 1913 to 1915. When he was 23, his first novel, It Walks by Night (1930), was published by Harper and sold 15,000 copies. His sleuths include Henri Bencolin, Gideon Fell (modeled on G. K. Chesterton), and Sir Henry Merrivale. Carr, whose output exceeded 70 novels, also wrote frequently for radio, including the series Suspense. 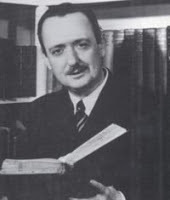 He was the first American member of the famed Detection Club, received an Edgar in 1950 for his biography of Arthur Conan Doyle, and was selected as a Grand Master in 1963. Ellery Queen called him "a master of deliberate, yet completely honest, misdirection" (Queen's Quorum 98). Crippen & Landru is working on Thirteen to the Gallows and Other Plays by Carr and producer Val Gielgud (brother of John), which is a book of previously unpublished stage plays. For more on Carr's life and work, see Douglas G. Greene's John Dickson Carr: The Man Who Explained Miracles. Sadly, Carr's contributions to the Haycraft-Queen Cornerstone list (The Crooked Hinge, 1938; The Judas Window, 1938; Lord of the Sorcerers, 1946) are out of print. Today marks the 48th anniversary of the debut of Jay Ward's Rocky and Bullwinkle, whose characters include Russian spies Boris and Natasha and the Canadian champion of law and order Dudley Do-Right. To hear the Dudley Do-Right theme, go here. Anyone else remember the Kirward Derby? The Early Years of Random House. I've been reading Dear Donald, Dear Bennett, which are the letters between Random House partners Donald Klopfer and Bennett Cerf, when Klopfer was serving in the US Army Air Corps during World War II. It's a fascinating discussion of publishing that includes literary parties, such as one given by John Gunther, which became so, well, animated that a rhumbaing couple fell down the stairs. I've been most interested in the mystery-related mentions. There's Cerf talking about an "electrified" sales staff over "the new Mignon Eberhart book" (probably Wolf in Man's Clothing, 1942, given the date of the letter). There's glee over acquiring "Frances Crane, whose detective novels sell about as well as Dorothy Disney's, away from Lippincott" (121). There's satisfaction over Margaret Millar: "Margaret Millar's The Iron Gates  is tops in its line and I think we'll be able to run that up to between 15,000 and 20,000 too" (205). There's a swipe or two at Kenneth Fearing, best known for his later The Big Clock (Harcourt, 1946; filmed 1948; remade as No Way Out, 1987). To wit: "Kenneth Fearing has turned in some stinker that he dug out of the trunk in an obvious effort to end his contract with us. We are going to let him get away with it" (34-35). 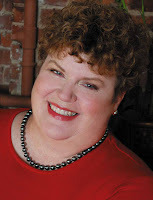 Charlaine Harris, author of the Sookie Stackhouse novels with paranormal elements and the series featuring psychic Harper Connelly, turns 56 today. The Sookie TV series, called True Blood and starring Anna Paquin, has gone into production for HBO. Harris will be Malice Domestic's guest of honor in April. The latest Harper Connelly novel is An Ice Cold Grave; the latest Sookie novel is All Together Dead. Sookie also appears in a new short story in Many Bloody Returns. Happy birthday, Frances Hodgson Burnett. 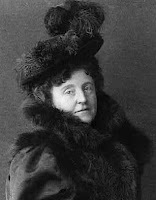 Playwright and author Frances Hodgson Burnett, best known for Little Lord Fauntleroy (1886), A Little Princess (1905), and The Secret Garden (1911), was born today in 1849 in Manchester, England. She emigrated to the United States, living in Tennessee; Washington, DC; and New York. She died in 1924. For a Burnett book dealing with crime, consult the charming Editha's Burglar (1888, rpt. 1994), in which small Editha encounters a robber in her home and promptly reforms him. "I must have the right kind of paper," she argued, "because if I sent something that seemed queer to them they would think me silly to begin with. And I must write very plainly, so that it will be easy to read, and on only one side, because if they are bothered by anything it will make them feel cross and they will hate me, and hate my story too. Then, as to the letter I send with it, I must be very careful about that. Of course they have a great many such letters and they must be tired of reading them." James M. Cain at Thanksgiving. In honor of the holiday, listen to this clip from The West Wing, in which presidential speechwriter Sam Seaborn (played by Rob Lowe) attempts to convince his long-suffering boss Toby Ziegler (played by Richard Schiff) of a hot new TV series idea. Editing Rules from the New Yorker. 1. Writers always use too damn many adverbs. On one page recently, I found eleven modifying the word "said." "He said morosely, violently, eloquently, so on." . . . Anyway, it is impossible for a character to go through all these emotional states one after the other. Lon Chaney might be able to do it, but he is dead. 2. Word "said" is O.K. Efforts to avoid repetition by inserting "grunted," "snorted," etc., are waste motion and offend the pure in heart. 3. Our writers are full of cliches, just as old barns are full of bats. There is obviously no rule about this, except that anything that you suspect of being a cliche undoubtedly is one and had better be removed. 5. Our employer, Mr. [Harold] Ross, has a prejudice against having too many sentences beginning with "and" or "but." He claims that they are conjunctions and should not be used purely for literary effect. Or at least only very judiciously. Marion gave me a pain in the neck. "You give me a pain in the neck, Marion," I said. This turns up more often than you'd expect. 11. The magazine is on the whole liberal about expletives. ... When they are gratuitous, when the writer is just trying to sound tough to no especial purpose, they come out. 13. Mr. [Hobey] Weekes [an editor at the New Yorker] said the other night, in a moment of desperation, that he didn't believe he could stand any more triple adjectives. "A tall, florid and overbearing man called Jaeckel." Sometimes they're necessary, but when every noun has three adjectives connected with it, Mr. Weekes suffers and quite rightly. 20. The more "As a matter of facts," "howevers," "for instances," etc., etc. you can cut out, the nearer you are to the Kingdom of Heaven. 25. On the whole, we are hostile to puns. 31. Try to preserve an author's style if he is an author and has a style. Try to make dialogue sound like talk, not writing. Long before the turkey emerges from the oven, one can tell that Christmas is coming by the appearance of other turkeys: asinine holiday movies such as Fred Claus. The formula for these seems to be (1) a male main character chases 500,000 women before learning the True Meaning of Christmas or (2) a female main character does incredibly stupid things involving arrogant, annoying men before discovering the True Meaning of Christmas. 1. The Bishop's Wife. 1947. Angel Cary Grant teaches Bishop David Niven about vocation and what's important in life during the Christmas season. Great performances by supporting players Gladys Cooper, Monty Woolley, and James Gleason. 2. Remember the Night. 1940. Writ. Preston Sturges. Perf. Barbara Stanwyck, Fred MacMurray. Prosecutor MacMurray takes cynical shoplifter Stanwyck home for the holidays. Outstanding performances by both Stanwyck and MacMurray prior to Double Indemnity; remarkable ending. 3. Holiday Affair. 1949. Widow Janet Leigh and son befriend down-on-his-luck Robert Mitchum at Christmastime. What woman would possibly choose boring lawyer Wendell Corey over Mitchum? Please. 4. While You Were Sleeping. 1995. At Christmas, Sandra Bullock is caught between two brothers: furniture maker Bill Pullman and lawyer Peter Gallagher. Also has one of the cinema's great lines ("Argentina has great beef. Beef, and Nazis."). 5. The Gathering. 1977. Dying executive Ed Asner has one chance, Christmas, to unite his scattered and alienated family. Features a group of fine actors: Bruce Davison, Veronica Hamel, Gregory Harrison, Lawrence Pressman, Maureen Stapleton, Gail Strickland, Edward Winter, Stephanie Zimbalist. 6. Stalag 17. 1953. Dir. Billy Wilder. Perf. William Holden, Otto Preminger, Peter Graves, Don Taylor. Nothing says Christmas like the unmasking of a Nazi spy. 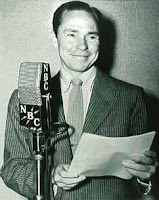 Lyricist Johnny Mercer, who wrote the words for "Jeepers Creepers," "Skylark," "Laura," and numerous other works, was born today in Savannah in 1909. He died in 1976. His oeuvre encompasses more than 1,000 compositions. Mercer's contributions that appear in mystery-related films include "Cowboy from Brooklyn" (They Made Me a Criminal, 1939); "Blues in the Night" (Lady Gangster, 1942); "I Remember You" (The Glass Key, 1942); "Palsy Walsy" (They Got Me Covered, 1943); "Accentuate the Positive" (The Blue Dahlia, 1946); "Too Marvelous for Words" (Dark Passage, 1947); "One for My Baby" (Macao, 1952); and "Charade" (Charade, 1963). He won Oscars for "The Atchison, Topeka, and the Santa Fe;" "In the Cool, Cool, Cool of the Evening;" "Moon River;" and "Days of Wine and Roses." A cofounder of Capitol Records, he also was a painter; an episode of Antiques Roadshow featured a visitor who owned one of his paintings. To listen to clips from Mercer's works, go here. For a look at the Mercer exhibit at Georgia State University, go here. I blogged earlier about Beverley Nichols's The Moonflower Murder (1955). I recently finished Nichols's Murder by Request (1960), in which financier Sir Owen Kent enlists sleuth Horatio Green when he receives anonymous letters and phone calls stating that he will die within the week. Green accompanies Sir Owen to a health resort owned by Sir Owen's sister and fanatical brother-in-law, and, as prophesied, Sir Owen is shot amid a roomful of people, many of whom have excellent reasons for wanting him dead. Sadly, Nichols's mysteries are out of print. What did Britain's servicemen like to read during World War I? According to A.A. Milne, they devoured stories featuring private detective Sexton Blake (read more about it on George Simmers's Great War blog; go here for George Orwell's mention of Blake). Blake, originally created by Harry Blyth, debuted in 1893, and more than 170 writers penned tales of his adventures over the course of some 70 years. All things Blake may be found here. The sorely missed Charlotte MacLeod, creator of the Sarah Kelling-Max Bittersohn series and the Peter Shandy series under her own name and books under the pseudonym Alisa Craig featuring mountie Madoc Rhys and the Grub-and-Stakers gardening sleuths, was born today in New Brunswick, Canada, in 1922. She died in 2005. The Kelling-Bittersohn novels have a certain screwball quality to them, such as in The Family Vault (1979) when the extremely WASPy Sarah and Max find it necessary to go undercover(?) in Chinese costume. A favorite of the Christmas season is Rest You Merry (1978), where Professor Shandy finds himself embroiled in a heated competition involving tacky house holiday decorations and a dead body. The Craig books abound in eccentrics. 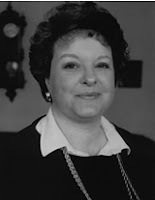 MacLeod, a founder of the American Crime Writers League and an Edgar nominee for The Corpse in Oozak's Pond (1987) and We Dare Not Go A-Hunting (1980), also wrote a biography of Mary Roberts Rinehart, Had She But Known (1994). The Eleventh Day of the Eleventh Month. "I detached myself from the others and walked slowly up Whitehall, with my heart sinking in a sudden cold dismay. Already this was a different world from the one that I had known during four life-long years, a world in which people would be light-hearted and forgetful, in which themselves and their careers and their amusements would blot out political ideals and great national issues. And in that brightly lit, alien world I should have no part. . . . The War was over; a new age was beginning; but the dead were dead and would never return." Vera Brittain, Testament of Youth (1933) 462-63. Save the Washington, DC World War I memorial. Happy birthday, John P. Marquand. John P. Marquand, a Pulitzer Prize winner for The Late George Apley (1937) and renowned in mysterydom as the creator of Japanese intelligence officer Mr. Moto, was born today in 1893 in Wilmington, Delaware. Marquand was the nephew of transcendentalist Margaret Fuller and a cousin of architect Buckminster Fuller. By the time of the author's death in 1960, Mr. Moto had appeared in six novels (No Hero; Thank You, Mr. Moto; Think Fast, Mr. Moto; Mr. Moto Is So Sorry; Last Laugh, Mr. Moto; and Stopover: Tokyo) and eight films, and Marquand had produced more than a dozen highly lucrative mainstream novels and a number of short stories. Sadly, No Hero—Marquand's contribution to the Haycraft-Queen Cornerstone list—is out of print. Russian playwright and novelist Ivan Turgenev, best known for Fathers and Sons (1862) and A Month in the Country (1850), was born today in 1818. He died in 1888. Turgenev, a pioneer of the realistic novel, popularized the concept of nihilism through his character Bazarov in Fathers and Sons. Part of a literary circle that included Zola, Maupassant, and Flaubert, he also was a generous promoter of the works of his fellow Russian writers in the West. 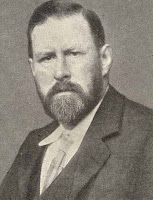 Bram Stoker, whose writing output was overshadowed by one novel, Dracula (1897), was born today in Dublin in 1847. 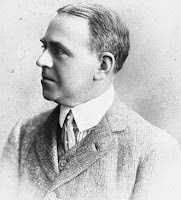 By the time of his death in April 1912, he had produced eleven novels, four nonfiction works, a number of short stories, and various pieces for the London Telegraph (Valancourt Books is reprinting some of his rarer titles). In the Department of Strange but True Historical Meetings, read about this 1887 encounter among Stoker, actor Henry Irving (Stoker served as his manager at one point in his career), and Buffalo Bill Cody. New Yorker founder and Algonquin Round Table member Harold Ross was born today in 1892. He died in 1951. Ross first worked as a journalist at the Salt Lake City Tribune, Sacramento Union, and San Francisco's Call before enlisting and eventually working on Stars and Stripes during World War I. The New Yorker debuted in 1925, according to Ross, as "a reflection in word and picture of metropolitan life." For more on Ross, read James Thurber's The Years with Ross (1959) or Thomas Kunkel's Letters from the Editor: The New Yorker's Harold Ross (2000). Ross was apparently intensely devoted to a continuing department called "Are You a New Yorker? ", a series of questions such as "Where is the morgue?" and "On what days is admission charged to the Bronx Zoo?" Clipped to this particular questionnaire was a tart note from a male subscriber which read, simply, "Who gives a damn?" — James Thurber, The Years with Ross (rpt. 2001, 25). Happy birthday, Carole Nelson Douglas. Former journalist Carole Nelson Douglas, author of the Irene Adler and Midnight Louie series, not to mention science fiction/fantasy works and numerous short stories, turns 63 today. Her latest books include Spider Dance, Dancing with Werewolves, and Cat in a Quicksilver Caper. Beverley Nichols (1898-1983) seems to have been one of those versatile British men of letters. Writer, journalist, composer, and poet, he published his first book, Prelude, while he was at Oxford and covered the notorious Thompson-Bywaters murder trial in the early 1920s (listen to F. Tennyson Jesse's A Pin to See the Peep Show, based on the Thompson-Bywaters case, on BBC Radio 4 from Nov 5 to Nov 9th). Timber Press has reprinted Nichols's popular gardening books. He also wrote five mysteries featuring the mild-mannered Horatio Green, a keen gardener with a remarkable sense of smell: No Man's Street (1954), The Moonflower (aka The Moonflower Murder, 1955), Death to Slow Music (1956), The Rich Die Hard (1958), and Murder by Request (1960). I read The Moonflower Murder, in which a wealthy woman is killed in a house of scheming relatives and acquaintances. Despite some distracting episodes of "let's step outside the narrative now and look at Mr. Green" and Had-I-But-Known incidents, it's an interesting tale of a murder committed twice. Running through December 15 is the exhibit "The Afterlife of Alice in Wonderland," sponsored by the Baldwin Library of Historical Children's Literature (part of the George A. Smathers Libraries of the University of Florida). Images from early and contemporary Alice editions, film clips, and information about the exhibit can be viewed here. To celebrate the exhibit, there will be a tea party, appropriately enough, on November 7 at the library; it is open to the public. Photo: "The Tea Party," an image from the exhibit "The Afterlife of Alice in Wonderland." Twenty Years of Rankin, National Library of Scotland. The exhibit "Crime Scene Edinburgh: Twenty Years of Rankin and Rebus" is now running until January 13th at the National Library of Scotland. An article and photos about the exhibit are posted here. Rebus creator Ian Rankin will appear at the library on November 27th to discuss Rebus's departure from the police force in Exit Music. Stephen Crane---poet; journalist; and author of the classic Civil War novel The Red Badge of Courage (1895), Maggie: A Girl of the Streets (1893), and other works---was born today in Newark, New Jersey, in 1871. He died in 1900 at age 28 of tuberculosis. To read "A Tale of Mere Chance" (1896), Crane's parody of Edgar Allan Poe, go here. Other supernaturally oriented works include "Ghosts on the New Jersey Coast" (1894) and "The Ghostly Sphinx of Metedeconk" (1895).